Implosions are a certainly a spectacle to behold. In a matter of a seconds, with a flash of smoke and fire, a building is reduced to a pile of rubble. 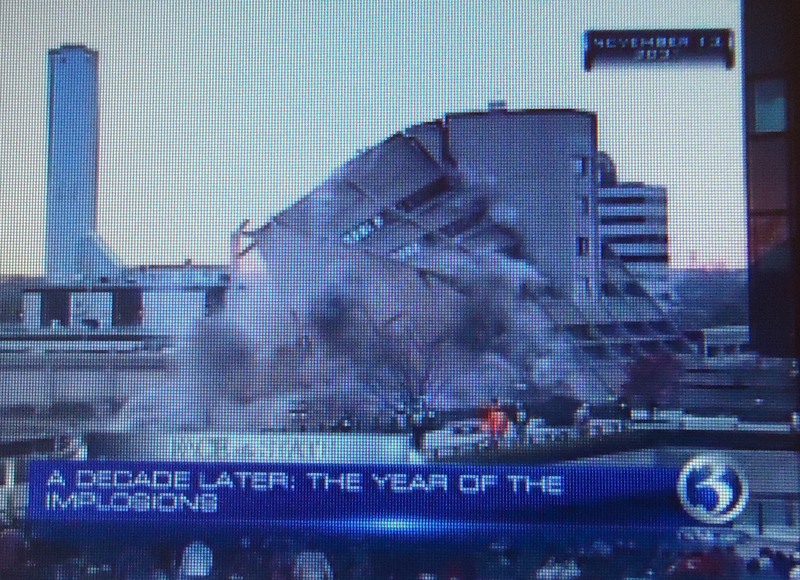 Hartford has hosted its share of implosions over the past 20 or so years and in this week’s Face the State Flashback, we’ll cue up the archival footage of two demolitions that took place a decade ago at the beginning and end of 2001. First, we take a look at 60 Washington Street, a high rise near the State Capitol that was home to offices and restaurants before the state bought it. It turned out be laden with asbestos, and was a multi-million dollar boondoggle for taxpayers. It met its demise in January 2001. This Sunday, we’ll show you Kara Sundlun’s report from the scene. The spot where the tower once stood is now a park, not a lush park of greenery, but rather a small patch with a few benches, under the shadow of the less than aesthetically pleasing garage that was once connected to 60 Washington. It was spared from the meticulously timed explosives. 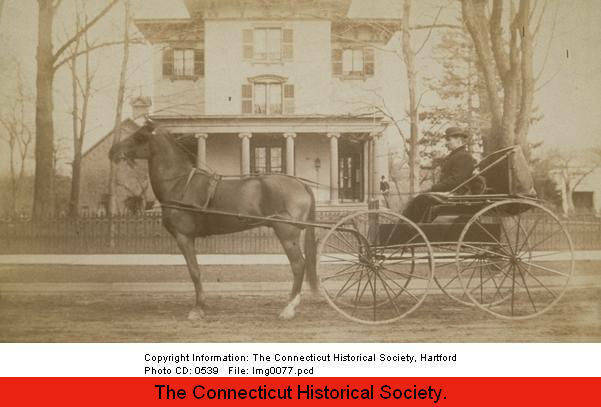 The lots stands as a reminder that Washington Street is a far cry from its heyday, when it was filled with beautiful Victorian buildings befitting of a neighborhood adjacent to the Bushnell, the State Capitol, the Supreme Court and Trinity College. It now boasts a fast food restaurant that has made appearances in the police blotter far too often, abandoned buildings, a vacant diner, and a drug store whose customers use the parking lot as a trash can. Other streets named for presidents that intersect Washington have become known for drugs and other crimes. Tremendous potential exists here. Think Capitol Hill in Washington, or Beacon Hill in Boston. The other imploded building in our Flashback is the former headquarters of Connecticut Natural Gas, knocked down to make way for Adriaen’s Landing. 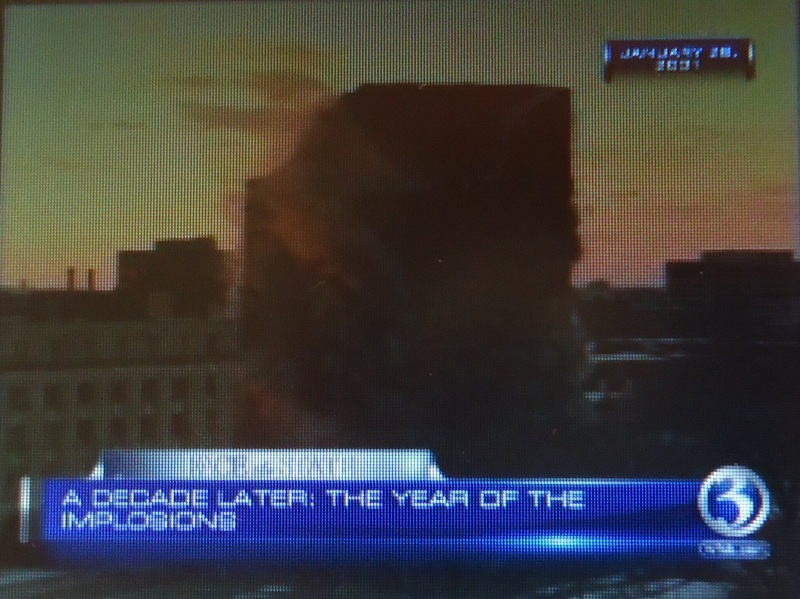 This implosion also attracted a big crowd, and like 60 Washington, was broadcast on live television on a cold Sunday morning, but the mood there was different. The pile of twisted metal and dust cloud reminded people of the World Trade Center, which had been destroyed just two months earlier. Unlike 60 Washington, buildings rose in place of the CNG. The Connecticut Convention Center, Downtown Marriott, and Connecticut Science Center were all built in the following years, and by all accounts they are the successful components of Adriaen’s Landing. The Front Street retail and entertainment portion of the Landing remains empty, and there are still some vacant parcels of land where housing is supposed to be built. The developers of Constitution Plaza scrapped housing from that project; one can only wonder if the same mistake will be made at Adriaen’s Landing. 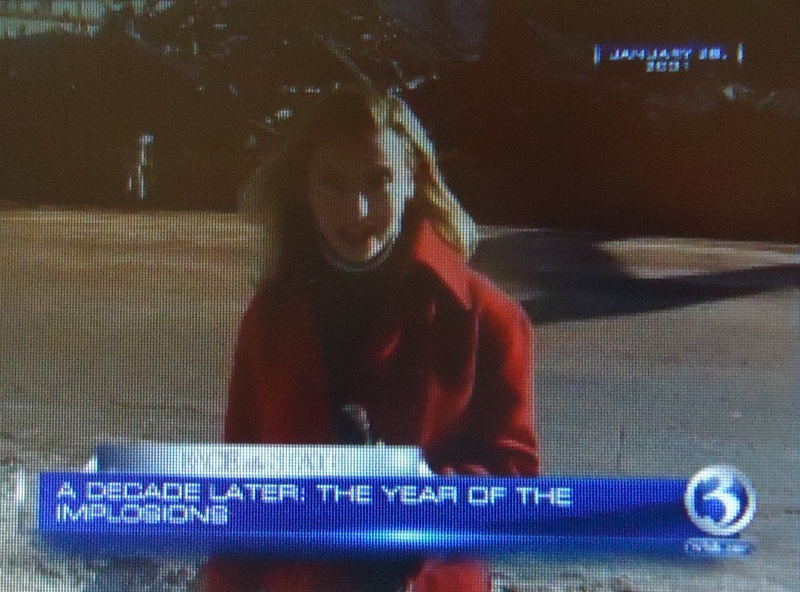 UPDATE: Here is the entire flashback, including some pretty cool implosion video, that aired Sunday morning December 18, 2011, only on Channel 3. You’ve made some decent points there. I looked on the internet for more information about the issue and found most people will go along with your views on this site.